Dr. Richard Isnor, StFX Associate VP of Research & Graduate Studies, who oversees the NCCDH, is very pleased with the outcome of the far-reaching recruitment. “Claire’s expertise and extensive public health experience position her as an ideal leader to direct the NCCDH,” he says. A registered nurse, Dr. Betker is the current President of the Canadian Nurses Association. She is deeply familiar with the NCCDH, having working for the NCCDH previously as senior knowledge translation specialist and director of research - early child development. 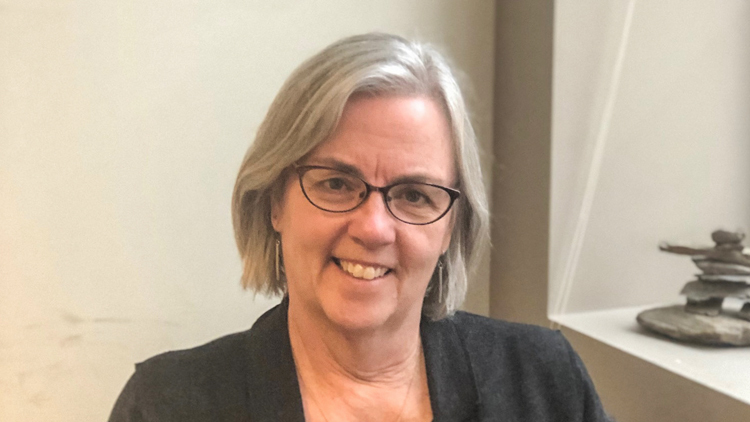 Dr. Betker will come to StFX from her current position as Acting Executive Director of Active Living, Population & Public Health Branch at MB Health, Seniors & Active Living. In that position, she oversees development of intersectoral policies, government standards and a wide range of public health programs and services. Dr. Betker’s research work for her PhD (Nursing, U Saskatchewan, 2016) investigated public health leadership to advance health equity, using a scoping review and metasummary methodology. She coordinated the Public Health Agency of Canada’s development of Canada’s public health core competencies, released in 2008. These interprofessional competencies inform all Canadian public health practitioners through their academic training, employers and professional associations. She was a member of the teams that developed the discipline-specific competencies for public health nursing; the public health leadership competencies; and Manitoba’s public health nursing standards. Dr. Betker has co-authored journal articles, book chapters and NCCDH publications. Her community health career began in rural Manitoba at a single-nurse public health office. Since then, she has worked for the Winnipeg Regional Health Authority, as a freelance consultant, at a nurse-managed primary care centre, and has taught nursing students. Dr. Betker is a past president of the Community Health Nurses of Canada, and has been a long-standing member of the Canadian Public Health Association and, as a settler-ally, the Canadian Indigenous Nurses Association.